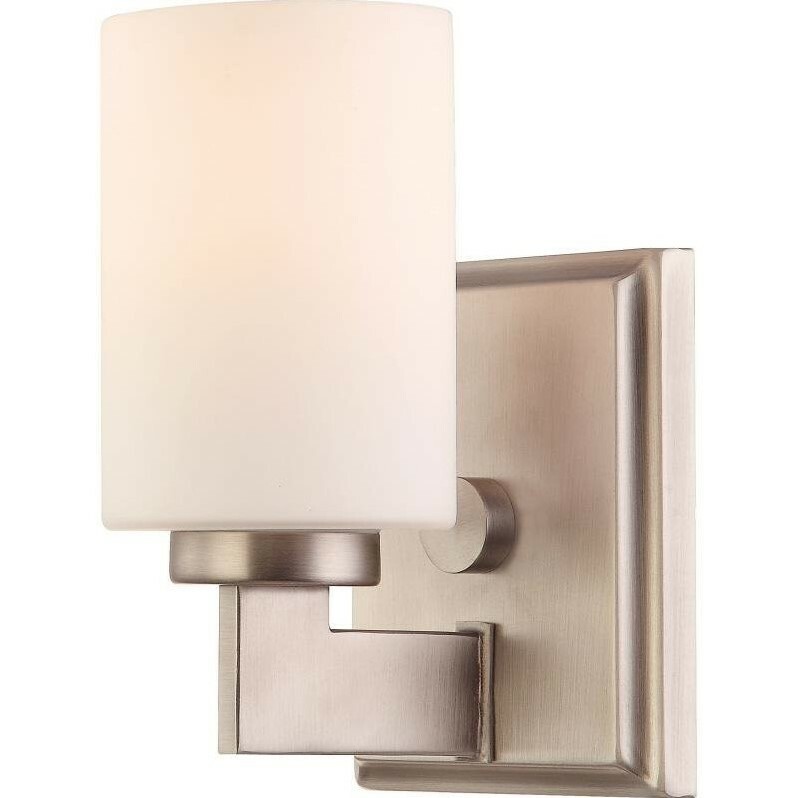 Taylor - AN Antique Nickel Finish, Bath Fixture With 1 Light: Linear style and precise design are the elements of this strong contemporary collection. The opal etched glass compliments the antique nickel finishes beautifully. The Taylor collection will enhance any room in your home. Product Shade: Shade 1: G2440SH 3.5" x 5.25"